There will not be a mini-casino venue built in South Middleton in the foreseeable future as it has been confirmed late this Thursday by the local authorities which had to voice their ultimate decision on the subject. The Board of Supervisors voted that a satellite casino venue operated by Greenwood Gaming would not be well-suited for the area. Even before the meeting scheduled for this Thursday the community was discontent with the potential introduction of a mini-casino venue in the township. Many of them pointed out that a gambling facility simply does not fit the overall image of the community and its values in general, so its place should not be in this township. Enough space for the construction of a new venue was also hard to find. A wide variety of opinions were expressed during this week’s meeting as well, ultimately all boiling down to the fact that problem gambling is an issue which is not welcome in the region. In this sense, the decision comes as no surprise as there have been indications of the lukewarm general attitude in the township, but still, it is disappointing to the casino operator. It could be recalled that the county was one of those which opted out of the mini-casino competition back in December and proclaimed it does not want a mini-casino venue. Back then a big number of the municipalities do not agree with hosting a mini-casino and prohibit the construction of such gambling venues in their regions. The total number of municipalities which have decided to stay out of the project is 1,017. 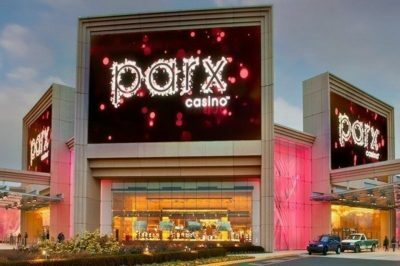 However, there was a change of heart after the developer and operator of Parx Casino in Bensalem made it clear it wants to build a mini-casino venue in the township with the prospect of bringing many new tourists and millions in revenue. The potential of raking up a considerable amount of money to the township coffers was taken into account back then and changed the overall direction of development. Some $2 million was projected to be amassed by the operation of the venue which could have been later divided between the county and South Middleton township. A total of 250 locals were set to receive new job positions at the casino venue, whereas some $250,000 was readied for additional operation boost. There were some 60 people present at the meeting held this Thursday, joined by the casino developer and operator. A request had been made for the consideration of the proposal, but as it turned out the local supervisors decided not to hold a vote last night and instead return to their original stance on the subject. This would mean no satellite casino venue in the township in the near future, as the community disagrees with such. Greenwood Gaming, of course, was not content with the decision, but this does not mean that the casino developer will not build a mini-casino venue at all. 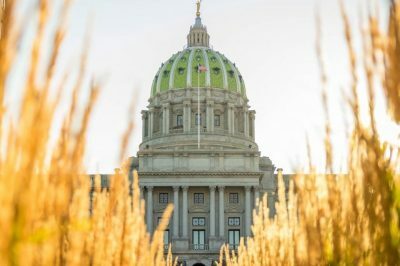 There are two other townships located in the Cumberland County which are considered at the moment and those are Shippensburg Township and Franklin County’s Greene Township. Mark Stewart, Attorney for the casino developer, stated that they would take into account the position of the community and redirect their efforts towards another area of the county. According to the previously issued information regarding the casino venue, it would feature a total of 550 slot machines fanning across a 50,000-square-foot floor, in addition to a restaurant. Sports betting was also a potential offering of the proposed venue.